I wanted to share with you the birthday cake that my son made for me last week. What a great kid. His favourite item to bake is cheesecake. Usually it's an Oreo one, but I found him a new recipe. It's from the I Love Chocolate by Mars website. June 22, 2010 recipe for Chocolate Cheesecake. you might have to sign up for an account for the link to work. Note, the picture shown with the recipe is not for these instructions. The picture above is correct. I couldn't bring myself to buy a full bottle of creme de menthe, so I bought a bottle of non-alcoholic mix and it worked just fine. I did buy the bottle of white creme de cacoa as it works well in the recipe for "Chocolate Martini" that I posted a few weeks ago. 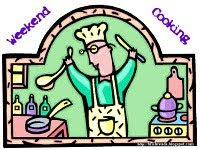 Do you like to cook, try new recipes, watch movies about cooking etc.. Then click on over to Beth Fish Reads for her "Weekend Cooking" meme. You are invited to add a link to your recent food related post. Oh, this looks absolutely gorgeous! Can´t you send me a slice? - I love green cakes (well, this shade of green, I mean). Looks and sounds delicious! No better combo than mint and chocolate. Yum!! 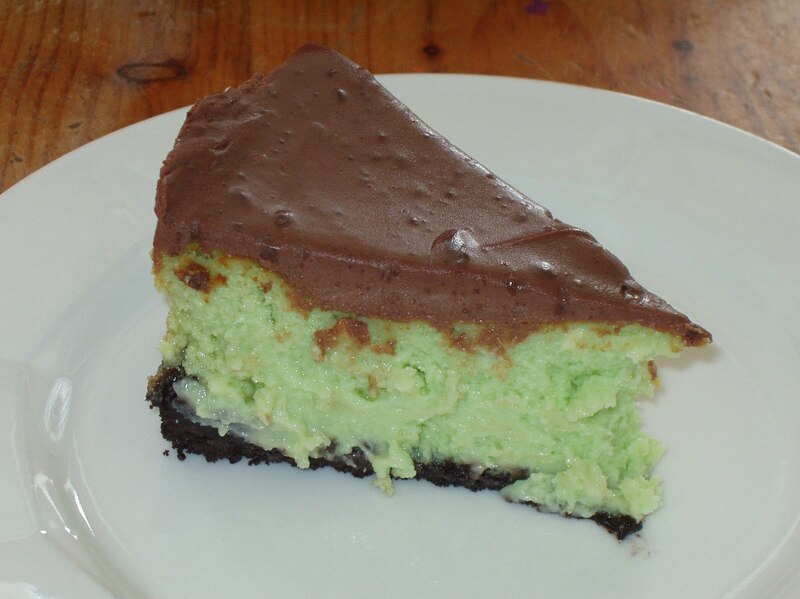 Chocolate, mint, cheesecake, and someone else made it for you -- that's what I call heaven! My son and I both would love this. My husband would too probably. I'd have to buy the non alcoholic mix too! This sounds really tasty! Makes me think of Peppermint Patties. What a wonderful treat that your son makes it for you!! Wow, your son made this cake for you? Awesome. Mint and chocolate and cheesecake sounds deliscious. This looks delicious! I love chocolate chip mint ice cream and cheese cake so this really is making my mouth water!